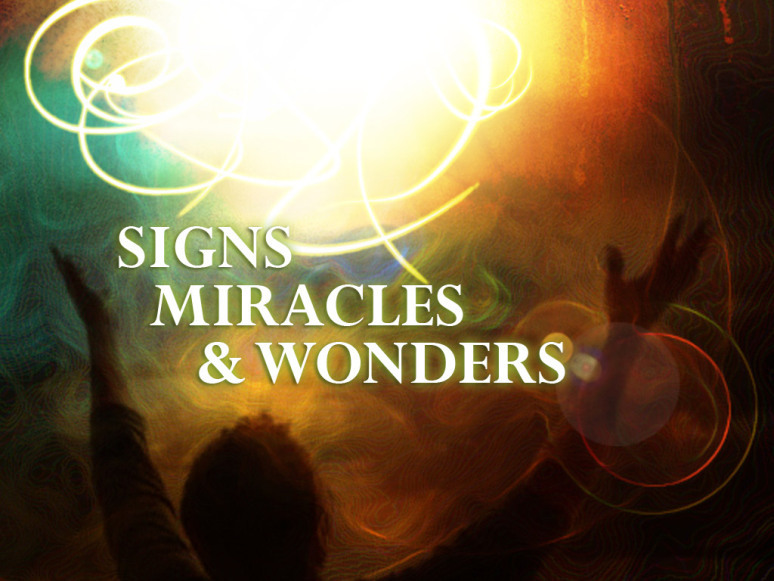 Blog Expect Miracles, Signs and Wonders! Expect miracles, signs and wonders, for I Am the same, yesterday, today and forever. What I did in the past, I will do again, and again. I will not do less, but more. For the former things that I performed will not be a great as that which is to come. The latter will be greater than the former, and the latter rain of My Spirit will be greater than the moderate former rain, says the LORD. Greater things are coming. Greater works are in the times ahead, says the LORD. The harvest will be plenteous, not failed nor sparse. You look back at what I did as if that is your final hope and goal. Look beyond that, and know that I will not just duplicate what I did, but I will do much more. You will be shocked at My miracles, signs and wonders, and be astounded, as I put Myself on display in your midst. You will not long for the good old days, but rejoice in your GOD, that makes all things New, for you, says the LORD. 31 Responses to Expect Miracles, Signs and Wonders! Hallelujah! Thank you, Lord! Amen!! Glory to God! For a while have been hearing Revelation 21:5 over and over. He Has promised he will never fail I believe him. Jesus Christmas is the same yesterday, today and forever. This means that who He is will not change. It does not mean that what He did He will necessarily do again. I believe You, Lord Jesus! !